The Comparison operators in R Programming are mostly used either in If Conditions or Loops. 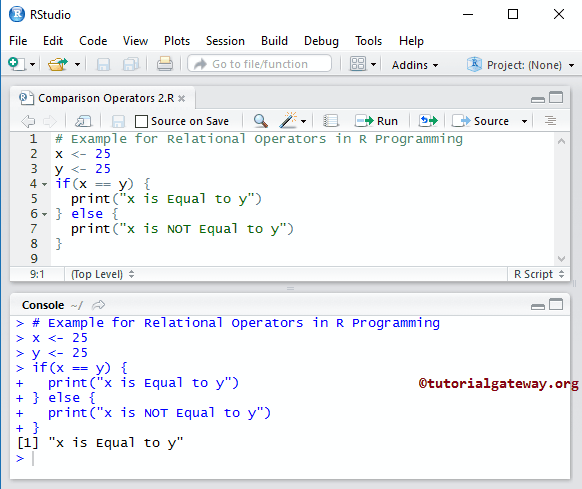 R Relational operators are commonly used to check the relationship between two variables. If the relation is false then it will return Boolean False. Below table shows all the Relational Operators in R Programming with examples. We assigned two integer values a, b and we assigned the values 15 and 12 using the below statement. In the next lines, We checked these values against each and every comparison operator (relational operator) present in the R Programming language. 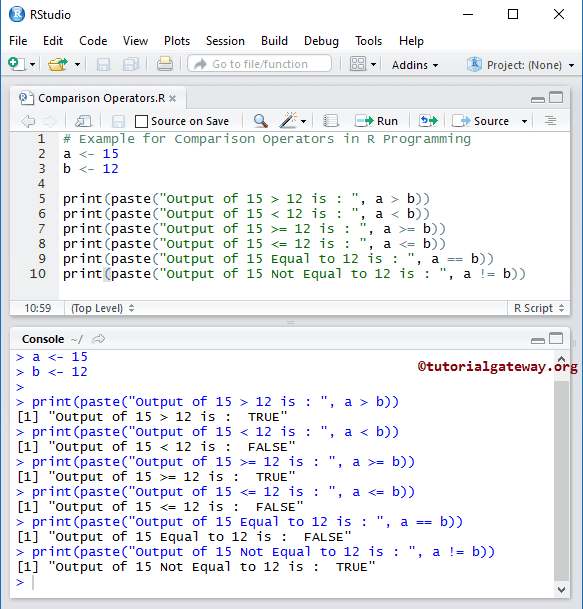 This example helps you to understand, how to use Comparison operators inside the If statements. For this example, We are using two variables x and y and their values are 25 and 25. We are going to use these two variables inside the If condition along with one of the comparison operator present in R programming to check the condition. We assigned two integer values x, y and assigned the values 25 and 25 using the below statement. If the first condition fails then the second print statement will be executed.